The process of studying, searching, and understanding YOGA, yes, YOGA in big words, with Andrea Brook became one of the most exciting things I have ever done in my life. Not only because she put into context everything I already knew, not just because she taught me the meaning and reason behind every asana in my body and soul, not because she introduced me to the complex and yet simple world of meditation, but because I understood very soon in our practices that Andrea was not only a yoga teacher, she was, is, and will always be yoga herself. Andrea Brook is a master of life itself, with no fear to share her wisdom and her experiences. She opened my eyes and my soul to a better perception and understanding of myself and I thank her for that. Andrea Brook is an international performing artist, yoga teacher/life catalyst and public speaker. Andrea began the incredible life practices of yoga and meditation in 1995. Having broken her back as a girl, she recognized that yoga was the perfect practice to support her in rehabilitating her back and living a dynamic and active lifestyle. Andrea began as an Astanga Yoga practitioner and started teaching yoga in 1998, after studying in Mysore, India with the Guru of Astanga Yoga, Sri K. Pattabhi Jois. Andrea returned to India in 2000 to study Integral Yoga in Rishikesh, India with Swami Vivekananda Saraswati, and then continued her studies with the world renowned Thich Nhat Hahn, to deepen her practice of mindfulness meditation. Throughout the decades, she has continued to study and practice many styles of yoga including kundalini, Jivamukti, vinyasa (flow), and restorative yoga, as well as meditation and breathing techniques, with amazing teachers all over the world. Andrea’s teaching style incorporates the wealth of her experience, and the expansiveness of her studies gives her the ability to offer each student exactly what they need to support them to cultivate the lives they truly want. 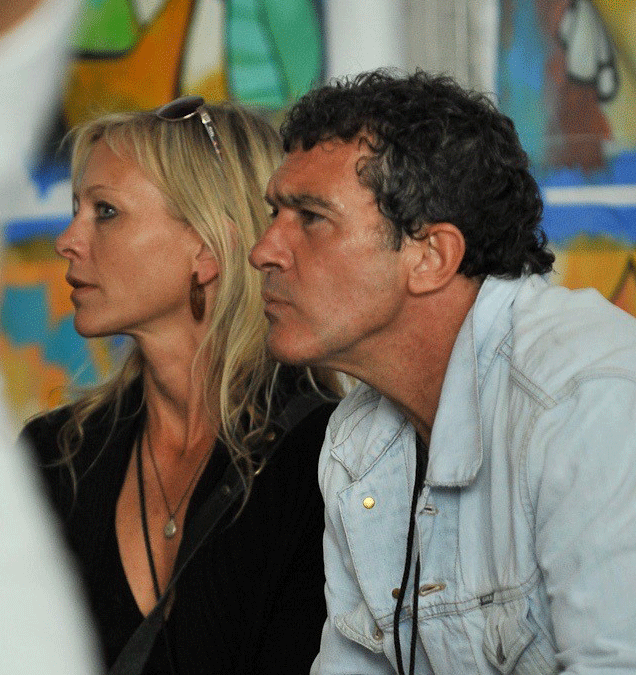 Andrea has led workshops and retreats around the world including Richard Branson’s Necker Island in the British Virgin Islands, the Omega Institute, the TED Conference, and festivals including Wanderlust, Burning Man, Symbiosis, the Envision Festival in Costa Rica and so many more. As a musician and installation artist, Andrea has toured since 2001, presenting visually and sonically stunning performances and transforming architecture and natural environments into large scale musical instruments, including the Coliseum in Rome, the Space Needle in Seattle, the Temple at Burning Man and the Grand Theater in Shanghai. In 2013, Andrea began Sonic Butterfly Productions to unite her talents. She designed her own long-string harp, Sonic Butterfly, with 26 strings that are at minimum 60ft long and expand out on each side of the performer and over the audience. The 2 resonating chambers look like butterfly wings complete with Projection or LED Light wings. Andrea creates customized yoga practices for individuals and groups to consciously, physically and energetically put one’s intentions into motion. Her classes, workshops and retreats are designed to reconnect you to your own wisdom through your body’s expressions, your emotional responses and your mind’s dialogue between anxiety and true understanding. These sessions are more than yoga, they give you the tools to live without hesitation or self-diminishment, to recognize who you truly are, and to live the life you were born to live. Andrea has a long list of clients that include entrepreneurs, CEOs, super moms, celebrities, athletes, musicians, artists, you name it! As a multi-faceted individual who owns her own businesses, is a musician, dancer, and artist, she can relate to wide variety of clients of all ages and backgrounds. Andrea works with clients in person in Los Angeles and Ojai, CA, and all over the world via phone & Skype to support individuals who are ready to manifest their intentions and live their lives as the fullest expression of who they are. 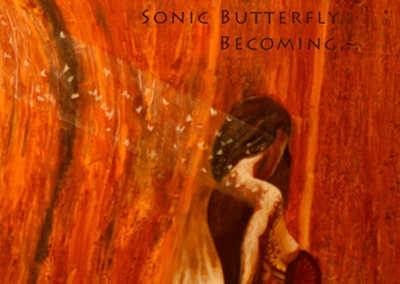 Sonic Butterfly is based on the concept of transformation, like the butterfly, re-creating ourselves into the full expression of who we truly are with all of our beauty shining. These transformational experiences are more than performances, as they engage the audience, inviting them to be participants, allowing them to transcend limitation and inspiring their truth, their creativity, their authentic self to fly. Sonic Butterfly is an incredible addition to festivals and events. In addition to performances, Sonic Butterfly Yoga takes you on a vibrational, rhythmic, physical, energetic and conscious journey of transformation, combining the unique teaching style of yoga teacher, Andrea Brook, with the exquisite music of Sonic Butterfly. The ascending overtones and healing harmonics of long string vibrations provide the perfect soundtrack for the yoga practice, as they transmute and sublimate one’s energy to promote physical/energetic health and creative inspiration. Recognizing the incredible value of the clarity and motivation that comes from working with Andrea, her clients hire her to support their business partners and employees to create a conscious environment for success on all levels. Andrea can help your company to reduce stress, stay healthy both mentally and physically, and have a positive company ethos that grows your company as a whole and all of the individuals within it. 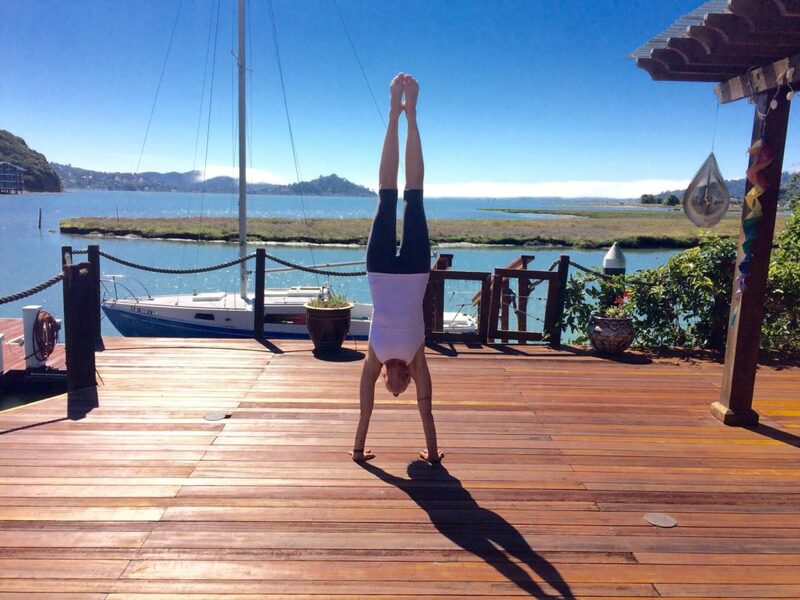 Andrea’s retreats are extraordinary! Each one is a transformational journey specifically designed for the participants, from CEOs of multinational companies on Richard Branson’s Necker Island in the British Virgin Islands to 24 hour reset retreats at her home in Ojai, CA. Contact Andrea to join the journey. For over 7 years I’ve been working with Andrea, and I attribute many successes of my company to her phenomenal work. Every Monday the team looks forward to our weekly yoga practice, and the benefits are tremendous. Andrea has the ability to connect with each person and create truly transformational experiences for all, through realizing our intentions, identifying challenges that arise, and embodying the achievement of our goals. This profound work has helped us create an environment that fosters our best work and supports us in attaining the highest potential within ourselves. Andrea understands the impact of back pain on the ability to enjoy one’s life on all levels. As a teenager, her L5 vertebrae fractured and fell inward, fusing together with her sacrum, and a web of scar tissue formed throughout her back, limiting her movement and causing enormous pain. For over a decade, she avoided physical exercise turning to drugs and alcohol to manage the pain. In 1995, Andrea discovered that through the powerful practice of yoga, she could heal her back and her life. Andrea can you support you to not only improve physically, she is dedicated to your total back health by helping you to address the mental, emotional and physical habit patterns that may cause or exacerbate the pain. Andrea Brook and her practice and approach have been life changing. In 2014. I was involved in a collision when someone ran a red light and fractured several of my vertebrae. I was partially paralyzed. Andrea has been with me from a few days after the accident helping me to envision walking again to the present- living a vital and active life with physical integrity born of spiritual and emotional growth …and miracles. Yoga is an extraordinary practice to support families on a multitude of levels. Andrea teaches not only the physical practice, to keep everyone healthy, flexible and strong, she also introduces and encourages intention setting, focus, compassion, understanding, communication, conscious awareness, integrity, deep breathing and meditation. The classes are led in a playful manner that is as fun as it is fulfilling for the whole family. Andrea is also a Body Language Expert and can support you to improve your public speaking for all occasions, from presentations to small groups to inspiring and motivating crowds of thousands. Our body language communicates to the audience more than half of the message. Andrea teaches how to use posture, breathing techniques, and exercises to prepare you to share your message exactly the way you intend. Andrea has supported politicians, CEOs and even couples to have their messages heard. Sonic Butterfly, designed by Andrea Brook, is a long-string harp with at minimum 60ft long strings that span out over the audience to create a full sensory experience. 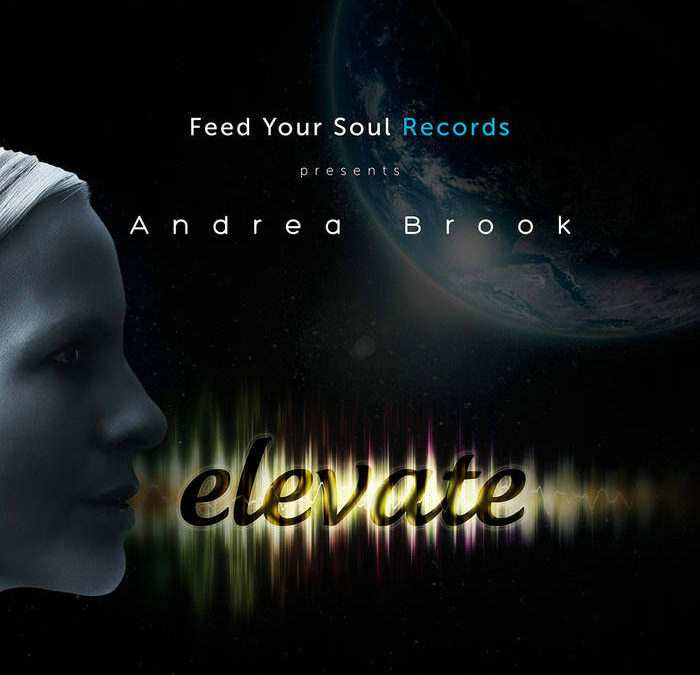 Feed Your Soul Records has teamed up with Andrea Brook, international performing artist and yoga teacher, to bring consciousness to the dance floor. Elevate is a divine mash-up of electronic dance music and spiritual, sensual, spoken vocals, that will move your body and spirit. Rob Tonkin – CEO and Founder at Marketing Factory Inc.